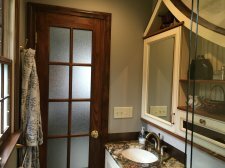 Medicine cabinets have an important purpose in your bathroom to store items for your daily and nightly rituals, but they don’t have to be strictly utility. 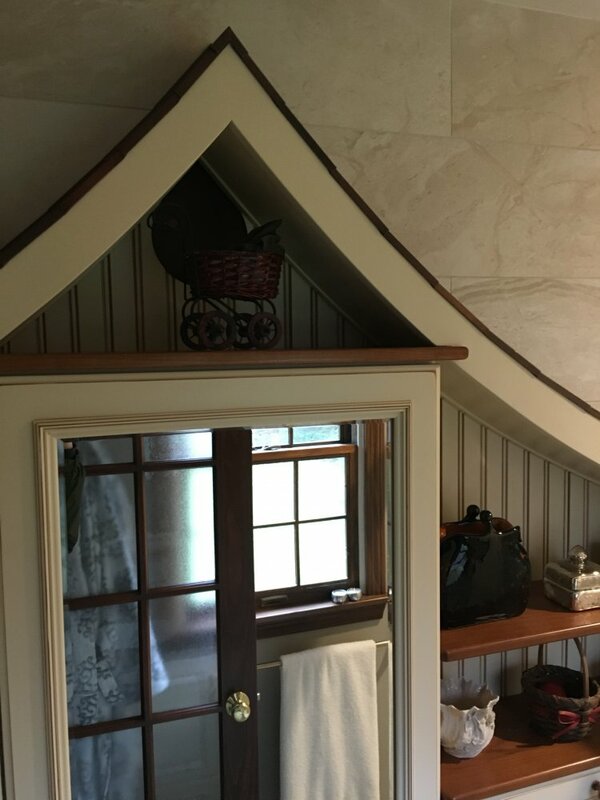 If you’re doing a total bathroom remodel, or just some minor updates for style and function, you can be creative with your bathroom storage. One option is to make the cabinet itself an eye-catching work of art, adding an attractive accent to a small bathroom, but also valuable space to organize medicine, make-up, and other essentials. 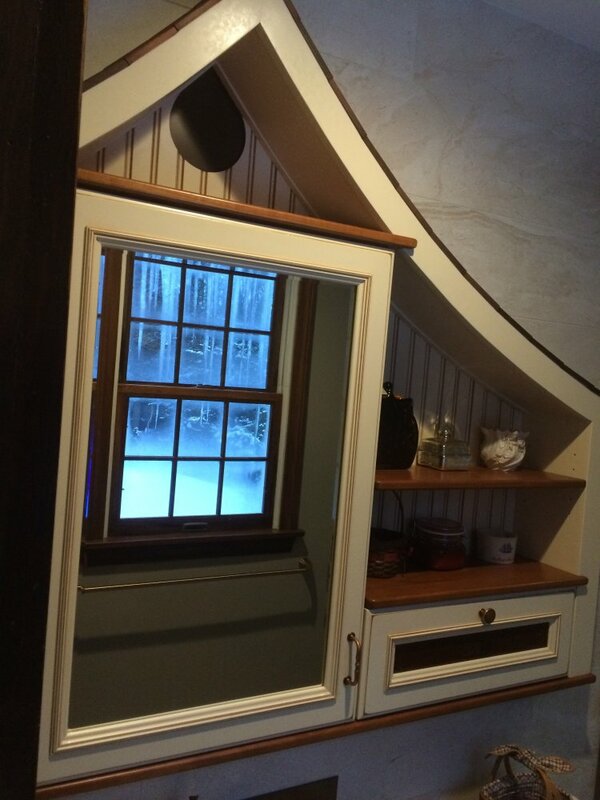 This 'fairy tale' medicine cabinet was custom designed for a small master bath remodel. 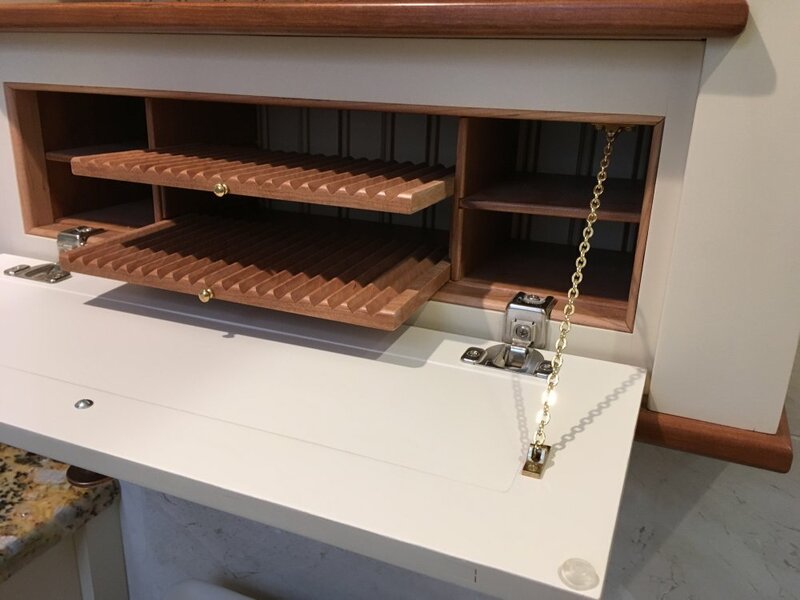 It was crafted by one of our skilled finish carpenters paying attention to every detail.